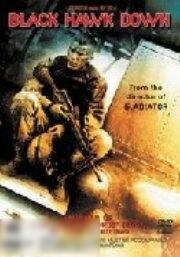 Synopsis: Black Hawk Down drops you into a crowded marketplace in the heart of Mogadishu, Somalia with the U.S. Special Forces-and puts you in the middle of the most intense firefight American soldiers have fought since the Vietnam War. Late in the afternoon of Sunday, October 3, 1993, the soldiers of Task Force Ranger were sent on a mission to capture two top lieutenants of a renegade warlord and return to base. It was supposed to take them about an hour. Instead, they were pinned down through a long and terrible night in a hostile city, locked in a desperate struggle to kill or be killed. When the unit was finally rescued the following morning, eighteen American soldiers were dead and dozens more badly injured. The Somali toll was far worse: more than five hundred killed and over a thousand wounded. We will combine postage. Happy trading. We have a disc cleaning machine and all disc's are cleaned and polished to be the best quality than we can achieve with the disc's before posting out the items, most disc's clean up to being very close to as new condition.